On Celtic Harp Romance Claire has taken some of the most recent great love songs such as Nelly Furtado's "All good things (come to an end)", Shakira's "Underneath your Clothes", Robbie William's "Angels", Jamie Blunt's "You're Beautiful" and Michael Bublé's "Everything" and adapted them to the beautifully soothing sounds of the Celtic Harp. 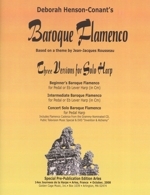 2 disc set. With a unique voice and superb narrative, Claire captures the very essence of these ancient tales from the Celtic tradition: fantastical stories to fire the imagination and warm the heart. Accompanied by the beautiful sound of the Celtic Harp. A great value 2 CD box set from LaserLight - 37 tracks including Molly Malone, Have I told you Lately, Danny Boy and The Flower of Scotland - see full track listings. 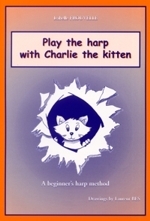 Album of Celtic Music performed on lever harp by Claire Hamilton with accompaniment. 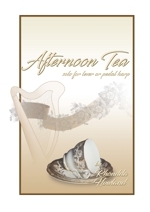 This delightful CD includes some very well known tunes including Londonderry Air (Danny Boy); Down in the Sally Gardens; She Moved through the Fair; Have I Told You Lately? 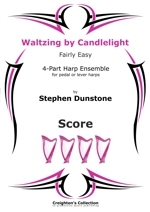 ; The Star of County Down; Theme from Harrys Game and Carrickfergus; A great introduction to the harp for lovers of Celtic Music. 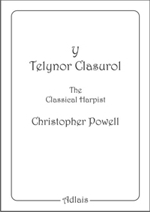 Transport yourself back to ancient times, when the poets of old spoke their poems to the haunting but melodic sound of the Harp. W.B. Yeats said that as a boy he longed to hear poems told in this way. Enter a fantasy world of enchantments and love affairs, of gods and goddesses, of myths and legends of the Celtic tradition. 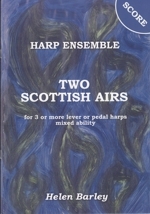 Claire Hamilton is a well - known figure in the Celtic Harp world. She has also written a number of books on Mythology. Accompanied on some tracks by Maggie Fitzsimons and John Hartoch courtesy of the Company of Strangers. 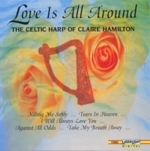 Album of well known romantic songs performed on Celtic and Electro Harps by Claire Hamilton with some keyboard accompaniment from Jeff Spencer. As well as the title track there are great standards including Lady in Red (DeBurgh), Wonderful Tonight (Clapton) and Falling - The Theme from Twin Peaks. 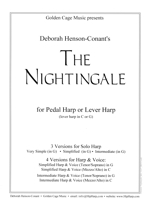 A great introduction to the harp for the Romantic! Album of Christmas Music performed on Celtic Harp by Claire Hamilton with accompaniment on some tracks by John Dalton (Flute, Soprano Sax & Whistle) and Martin Hanstead (Violin). 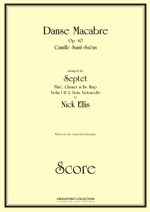 This seasonal recording of Carols and Christmas Music includes many Yule Tide favourites - including The First Noel, Deck The Halls, (solo & ensemble versions), Away in a Manger and the title track Silent Night. 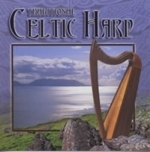 A lovely selection of Celtic Music performed on Celtic harp with accompaniment which includes Riverdance, Molly Malone, Skye Boat Song, Flower of Scotland and The Londonderry Air (Danny Boy) is this journey the Celtic Lands. 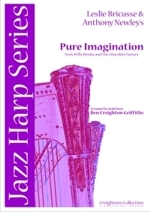 A collection of favourite Irish tunes performed on Celtic harp by Claire Hamilton with accompaniment. As well as the title track this CD features Have I told you lately (Van Morrison), My lagan Love, The Great Silke and Women of Ireland. 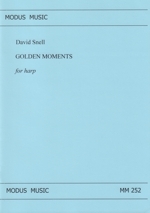 A showcase of stunning and original new talent from a rising generation of harp students. 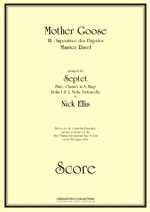 All the pieces are composed and performed by the nine students pictured overleaf. 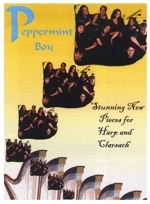 Together they form a varied and eclectic range of exciting new music for both the pedal harp and clarsach. 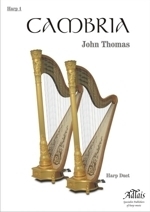 This album also reflects the recent upsurge of interest in this unusual and versatile instrument and it is hoped that many up-and-coming harpists will be inspired by the beauty and originality of these compositions and wish to play them for themselves. 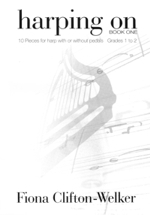 A book of pieces written by a new generation of harpists. 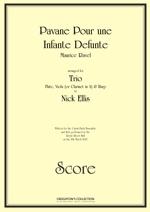 The pieces are fresh and different and mostly not dauntingly difficult to play! It does help, however, if you also have the CD to listen to. 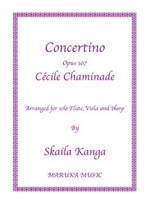 It contains recordings of all the pieces played by the composers themselves. 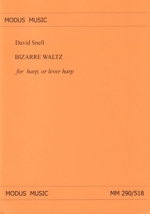 It is time the harp repertoire received an offering from the youth culture and this collection is very important in this respect.